People who play video games casually or call themselves expert gamers have heard about Nintendo. This is because Nintendo is the company that really brought gaming consoles to almost every household in the world. Sure, there were other consoles before that,but the Nintendo Entertainment System or NES was the one that popularized the idea. Over the years Nintendo has released a number of consoles and a tone of games. Some of these consoles were clearly better than others and for different reasons. In March of 2017, Nintendo released its latest console known as the Nintendo Switch. This was a pretty big deal for Nintendo as it was their first console since 2012. Their last console the Nintendo Wii U, commonly labeled as the worst selling console in Nintendo history was not the success that the company was looking for. Therefore, they needed to get their heads back into the game and launch a console that people will actually want to buy. 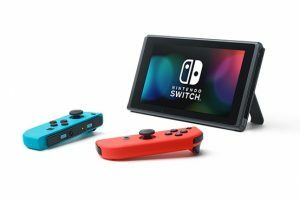 Enter the Nintendo Switch, after almost over a year the Nintendo Switch is arguably the best console that you can buy on the market. It has already sold over 14 million units and the company expects to sell another 20 million next year. It is an excellent gaming console that really differs from what the competition is offering, it has an awesome game library and more importantly, it is portable. The Nintendo Switch is a hybrid console, this means that it can be used as a home console or a portable one depending on your choice. The main selling point of the console is that it allows you to play your favorite games anywhere you want. The Nintendo Switch is just like a tablet, it has a touch screen and a couple of detachable controllers. In this way, you can easily play your games in handheld mode. But if you want to enjoy your games on the big screen then you can connect it to the dock. It has now been over a year since the Nintendo Switch was released and it is only becoming more popular every day. Currently, there are many kinds of Switch users out there, some like to keep their console docked at home while others like to play on the go. That is kind of the beauty of the Nintendo Switch because no other console gives you this kind of option. Another Reason why the Nintendo Switch has been growing in popularity is that many third party publishers such as Ubisoft and EA have also supported the Nintendo Switch by releasing games for the console. This is something that was not present during the time of the Wii U and that is one of the reasons it was not the most successful console that Nintendo has released. The Nintendo Switch is one of the most innovative pieces of hardware. The games that Nintendo releases have a very wide fan base and that is why people don’t mind buying the console even if they just want to play one or two games. 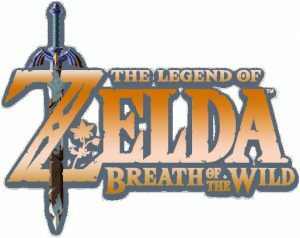 The two main games that really gave the Nintendo Switch the boost it needed are Super Mario Odyssey and The Legend of Zelda: Breath of the Wild. However, experts do argue that releasing two of their biggest titles in the early stage could be a costly mistake for Nintendo. Sports games like FIFA and NBA will certainly play an important part in boosting sales further. With such titles, the Nintendo Switch can compete with other consoles such as Xbox One and PS4. Nintendo has released some very good consoles in the past and they are not exactly new to this hold business. However, there were some consoles like the Wii U that were not able to make a huge impact on the consumers. The Nintendo Switch was able to break that ice and really find a place inside the hearts of die hard fans. Another problem that previous Nintendo consoles such as the Wii U had was that it did not have a very big game library but that is not the case for the Nintendo Switch because there are a lot of third party developers who are releasing games for this system.